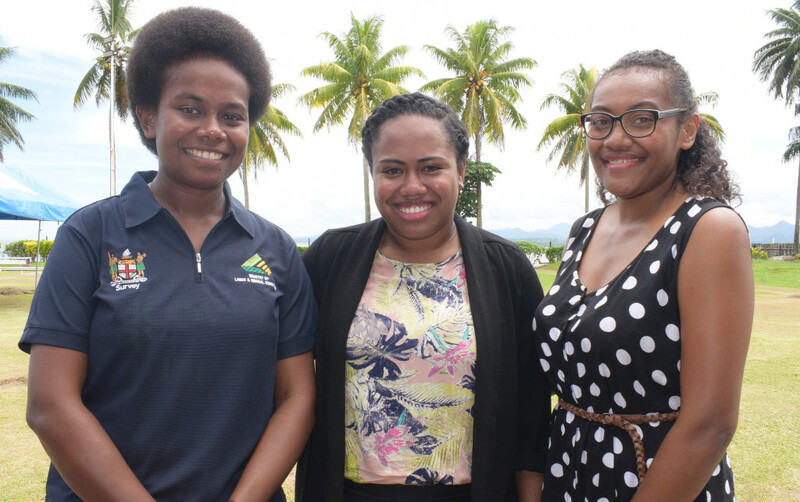 Surveyors Vilimaina Batirerega 27 (from left), Marawa Rasukerekere 25 and Adi Varanisese Navudi 27 during Global Surveyors Day on March 21, 2019. Photo: Ronald Kumar. 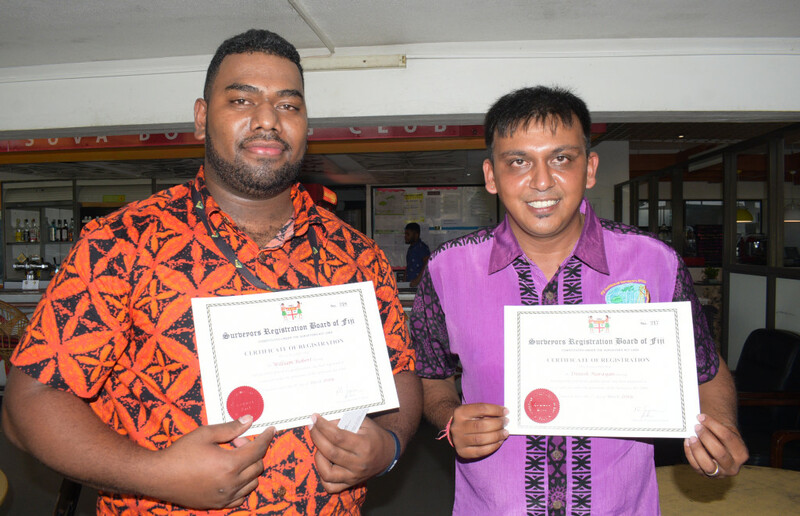 William Robert (left) and Dinesh Narayan with their registration certificate as surveyors during Global Surveyors Day on March 21, 2019. Photo: Ronald Kumar. 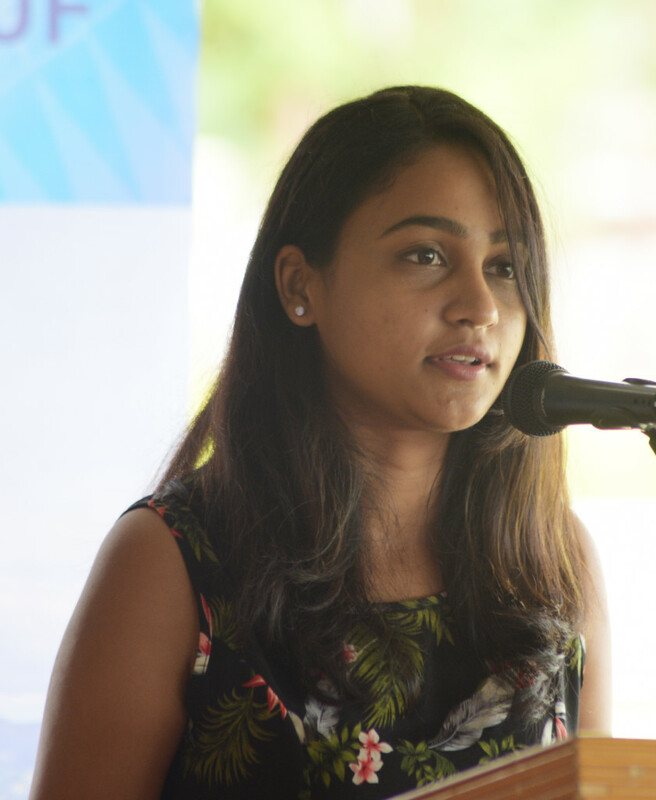 Andrick Lal (left) and Fiji Institute of Surveyors Council Chetna Ben while speaking during Global Surveyors Day on March 21, 2019. Photo: Ronald Kumar. 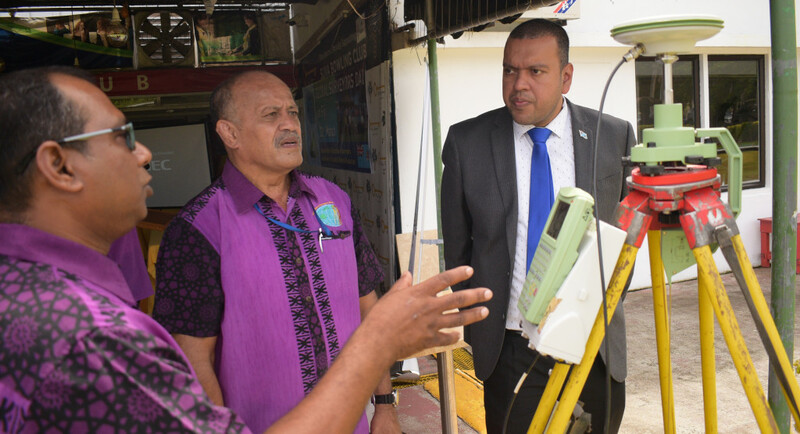 Andrick Lal (left) and Fiji Institute of Surveyors Council President Paserio Samisoni explain the GNSS survey equipment to Minister for Lands Ashneel Sudhakar during Global Surveyors Day on March 21, 2019. Photo: Ronald Kumar.